The Caribbean region is abuzz with solar and renewable energy project plans and development activity as residents across the region strive to recover from the historically unprecedented occurrence of two successive Category 5 hurricanes. An estimated 85 percent of Puerto Rico residents still lacked electricity and/or water utility services one month after Hurricane Maria swept across the U.S. island territory in late September. 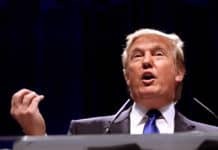 The highest profile names in the U.S., European and Asia-Pacific renewable energy sectors are on the ground, making their presence felt, pitching in and helping Puerto Rico, the U.S. Virgin Islands and other Caribbean island nations and overseas territories recover and rebuild their power infrastructure. Sir Richard Branson and the Virgin Group figure prominently among them. Sir Richard and Bruce Levy, the CEO of Virgin Group’s recently acquired Caribbean-Latin America renewable energy project developer and owner/operator BMR Energy, hosted a private reception at the Caribbean Renewable Energy Forum (CREF) in Miami, Florida Oct. 18-20 to advance industry dialogue and collaboration aimed at accelerating solar and distributed renewable energy development throughout the Caribbean and Latin America. 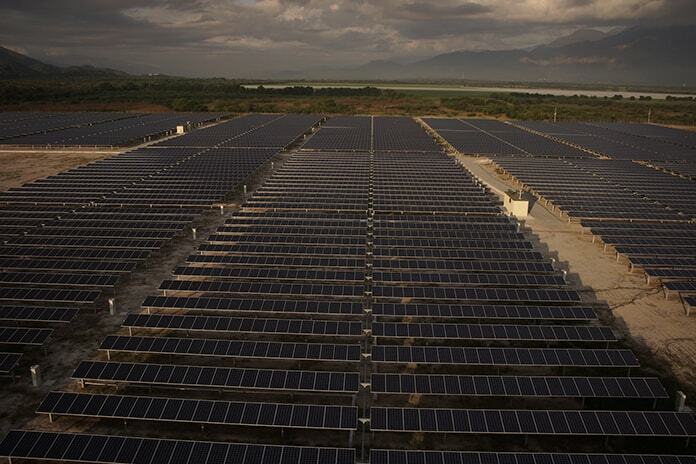 Having commissioned the largest renewable power system in Jamaica, the 36-megawatt (MW) Jamaica Wind Project, BMR is ramping up both its solar and wind power project development efforts across the region, including rolling out solar photovoltaic (PV) to power an irrigation system at Jamaica Holdings Ltd.’s Monymusk Sugar Estate, Levy told Solar Magazine. Caribbean island residents were paying some of the highest prices in the world for electricity before Hurricanes Irma and Maria struck, while also living with some of the poorest quality grid services in the Western Hemisphere. Solar and wind power have the potential both to significantly reduce electricity costs and significantly enhance the reliability and resiliency of electricity services region-wide, Branson and Levy highlighted during the CREF conference. 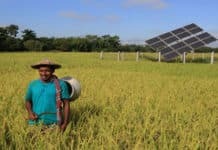 In addition, there are numerous and varied benefits accelerating deployment of distributed solar, wind, other renewable energy, modern energy storage and smart grid distribution assets could convey in terms of improving human and environmental health and safety and laying a foundation for self-sustaining, “green” socioeconomic development. Virgin Investments, Virgin Group’s private equity arm, acquired BMR Energy late in 2016 following the Group’s purchase of the 36MW Jamaica wind farm BMR had developed. 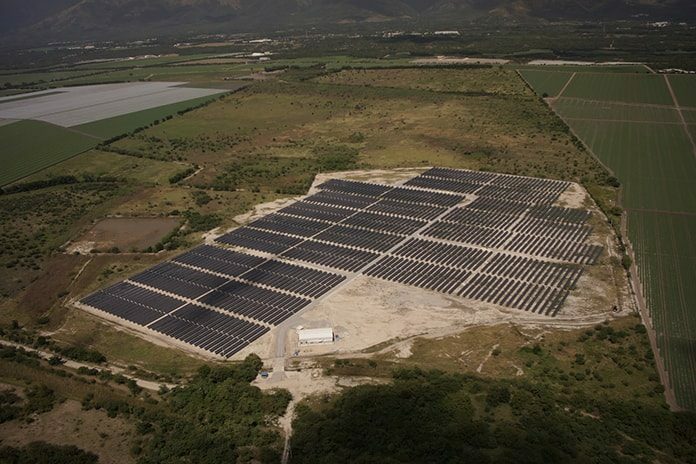 The New York-based Caribbean renewable energy project developer also owns the 7MWdc-5MWac Green Solar Project in Guatemala, which has been producing emissions-free electricity since Oct. 2015. BMR Energy’s green energy infrastructure projects across the world. 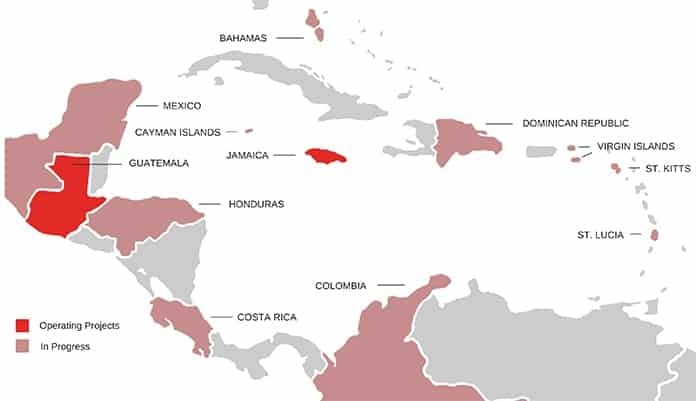 Looking ahead, BMR is working to develop solar and wind power projects in the Bahamas, Costa Rica, the Dominican Republic, Honduras, St. Kitts, St. Lucia and the U.S. Virgin Islands. Most recently, it opened up discussions to develop a project in Colombia, Levy said during an interview. Earlier this month, BMR signed a deal with Sugar Company of Jamaica Holdings Ltd. to roll out enough solar power generation capacity to power the water pumps and meet 50 percent of irrigation system energy consumption at the Monymusk Sugar Estate. If all goes well, project partners intend to expand that to 100 percent. Sir Richard, Virgin Group and BMR Energy are at the forefront of solar and renewable energy project development, local capacity building and advocacy throughout the Caribbean-Latin America region. Branson’s privately owned Necker Island, one of the British Virgin Islands (BVI), is home to a solar PV-battery energy storage microgrid, which now serves as a showcase and model for distributed renewable energy systems region-wide. Branson and Virgin Group also founded the Carbon War Room and launched the Ten Island Challenge in partnership with Aspen, Colorado-based Rocky Mountain Institute (RMI). RMI and Carbon War Room subsequently merged, with the latter being subsumed into the former. The combined, non-profit organization’s pioneering solar, renewable energy and energy efficiency capacity building and project development efforts in the Caribbean have accelerated and expanded in scope and scale since. The Ten Island Challenge has morphed into the Islands Energy Program, which aims to accelerate the transition to renewables in 13 island Caribbean countries, install 95MW of renewable energy, and leverage $300 million in financing for island energy projects by 2020. Caribbean countries are responsible for less than 1 percent of global greenhouse gas emissions. Nonetheless, they are some of the most vulnerable to the potentially catastrophic effects of a warming global climate, Sir Richard points out in a Nov. 16 Virgin Group blog post. Those ripple effects include rising sea levels, which can contaminate precious freshwater resources, accelerate erosion of beaches and devastate coastal ecosystems and communities, as well as the increasing frequency of more intense tropical storms and hurricanes. The Jamaica wind farm Virgin purchased from BMR Energy prior to acquiring the company is expected to reduce greenhouse gases by about 66,000 tons CO2 equivalent per year. That’s about the equivalent of taking 13,000 cars off the road. “The potential for renewable energy across the world is massive, especially here in the Caribbean. We are perfectly placed as an example from which clean, innovative energy solutions can scale. Caribbean economies suffer from some of the highest electricity prices in the world — perpetuating poverty, contributing to national debts, and preventing any form of sustainable development,” Sir Richard wrote. Caribbean solar and wind power plants can deliver, and are delivering, emissions-free, environmentally friendly energy at costs below that for utility grid electricity, while at the same time enhancing reliability and resiliency, Levy highlighted in our interview. Solar, wind and renewable energy development has been growing fast and that has helped push prices down. We now see solar energy being produced in most places, and at costs cheaper than alternatives or utility grid power. 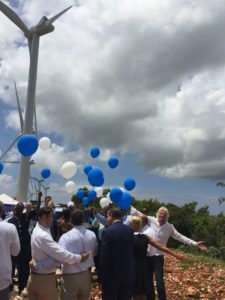 Virgin Group’s Jamaica Wind Project is selling emissions-free electricity at the equivalent of US$0.129 per kilowatt-hour (kWh). That’s less than half what it cost to produce back in 2013 when the wind farm first came online. Levy said a new wind power plant at a similar site today could probably produce electrical energy for less than US$0.10 per kWh. Plus, Virgin’s Jamaica wind farm is delivering electricity with greater reliability and resiliency, Levy pointed out. 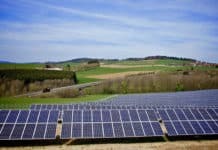 Turning to solar, Levy estimated that a large-scale solar power plant in the Caribbean-Latin America region could probably generate emissions and pollution-free energy for US$0.085 per kWh, or even less in areas with very high solar irradiation and large areas of flat landscapes, such as western Argentina and western Mexico.